The first few days, only the Kindle version of my book made it into Amazon’s shop. I misread and thought Createspace would make the print version available within 12 hours. I was mistaken, 3-5 days turned out to be the accurate amount of time. About 10 a.m., three days after I gave the okay for the book to go live, the print version finally showed up in the store. All of this is new to me, of course, but already I’ve learned a few things. One is that, don’t presume everyone is enamored of digital readers. I’d assumed the fact that you can store hundreds of books on one little digital device would convert the world. Wrong. The print version of my book has only been out two days and it has far outsold the digital version. Also, 2/3 of my sales have been from outside the U.S., with most of those making up the print orders. There’s something extra special about knowing a person on another continent may curl up with my book. Okay, I’ve lollygagged enough. I still haven’t found a way to alter the CSS on this theme, and I’m not going to waste more time on it today. I have another book to finish writing. 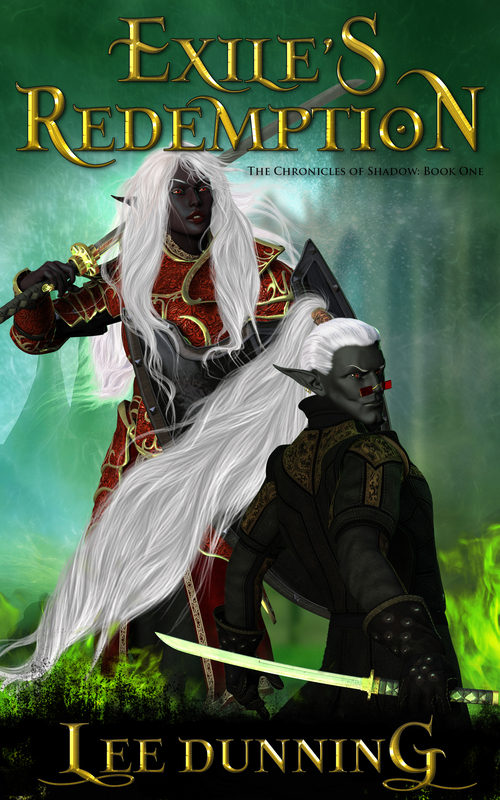 It only took what seems like half my life, but the first volume of the Chronicles of Shadow, Exile’s Redemption is finally available on Amazon. It’s in both ebook and trade paperback formats. If you belong to Kindle Unlimited you can read the ebook version that way. A sample is available, of course, and it’s also available via the Prime Lending Library. Now, the elves’ greatest pariah and an untested heroine must face an enemy bent on genocide. In the process they will discover secrets their people have kept since the elves established First Home. Secrets which could prove even more devastating than the demons. I’d love it if you popped over to Amazon and checked it out. If you read and enjoy it, a review on Amazon and/or Goodreads would be much appreciated.